Girls on the Run is a non-profit organization which provides mentorship to third to eighth grade girls to help empower them to recognize their inner strength. Rice Lake Elementary has hosted the program since 2015, and beginning in September, will begin its sixth season for students. 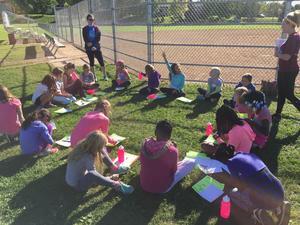 "I think it is a great program for girls to help develop their confidence and their love of physical fitness," Rice Lake Phy Ed Teacher Nancy Packer said. "Running is something you can do anywhere, anytime and having girls learn about this will only help them in the future with their fitness." Girls meet 3:30 p.m. to 4:45 p.m. Wednesdays and Fridays. The curriculum encourages positive social, emotional, mental and physical development. 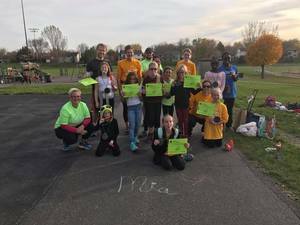 The results of the girls participating in Girls on the Run are showing. "I have noticed more confidence in the girls who have been a part of the program especially during our physical education classes when we are fitness testing," Packer said. "Running a mile is one of our fitness tests and we fitness test in the fall and the spring. The girls who have been in Girls on the Run are ready to run, they know what to expect and they just seem more confident to try their best." serve as role models and mentors as they work with their co-coaches to lead a group of third through fifth grade girls through a 10-week, 20-lesson season from September to mid-November. It also includes physical activity as a component, culminating with a 5K run at the end of the program at Harriet Island in St. Paul.